Manufactured by Schneider institutions in 1949, She was assigned to the traction at high speed at the time, with a commercial speed 120 Km/h. The 241 P 17 is the standard bearer of the steam traction, his name is synonymous with prestige in the memory of former railway workers. Classified “Monument history”, It is the largest French steam locomotive. 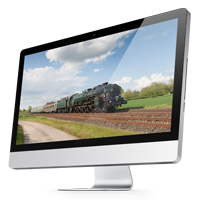 We offer you to meet her during a visit to the heart of railway history. 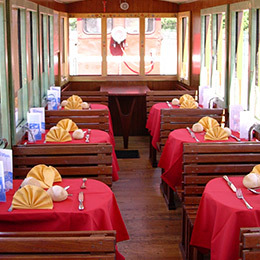 We take your lunch aboard the two cars the course restaurant of two valleys for a complete menu typically Burgundian (wine included).